Everyone knows that live TV is unpredictable. 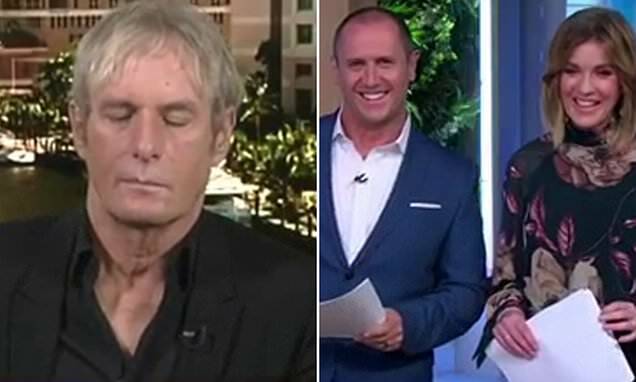 But Morning Show hosts Kylie Gillies and Larry Emdur weren't quite expecting American singer Michael Bolton, 65, to sleep through a live interview this week. Larry, 54, recalled the incident on his Instagram page on Wednesday, sharing a hilarious video of Michael snoozing through his segment. 'It's why I LOVE live TV. I can't promise you gold like this again today but hot damn we're going to try,' Larry captioned the clip. Michael - who is known for his hits including When a Man Loves a Woman - was doing a live cross from Florida.